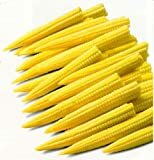 (VCORN)~"BABY" CORN~Seeds! !~~~~~~~~For the Asian Kitchen & Fabulous Pickled! 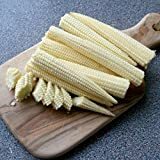 Baby corn seeds for sale – Easy plant to grow with edible cobs, buy grown for the ornamental cobs, flowers or plant, sowing in late winter (in warmer climate) to early spring when start from seeds.